Here’s a look at some of the indie nail polish restocks scheduled for the week starting Monday, April 28. Check back every Monday to see what’s coming up. Updates will be added as I find them. If you know of any planned indie restocks, launches or sales coming in the future, please let me know at polishgroupie@gmail.com Thanks for stopping by! Here’s a look at some of the indie nail polish restocks scheduled for the week starting Monday, February 17. Check back every Monday to see what’s coming up. Updates will be added as I find them. BLACK CAT LACQUER is offering 25 percent off of orders $25 or more with code PRESDAY25. Offer expires 2:59amET on Tuesday, Feb. 18. I LOVE NAIL POLISH‘s discounted Spring Collection pre-sale ends at midnightET Monday evening. FREAK SHOW POLISH is having a flash sale: 20 percent off on Monday, Feb. 17, no code needed. LLAROWE on Tuesday is restocking EMILY DE MOLLY, GIRLY BITS and WINGDUST at 2pmET and again at 9pmET. Here’s a look at some of the indie nail polish restocks scheduled for the week starting Monday, February 3. Check back every Monday to see what’s coming up. Updates will be added as I find them. Here’s a look at some of the indie nail polish restocks scheduled for the week starting Monday, January 13. Check back every Monday to see what’s coming up. Updates will be added as I find them. DELUSH POLISH is now taking pre-orders for the XO Collection, shipping January 18. KUNIMITSU NAIL POTIONS has a limited edition mini polish called You Are Loved that you can send to a friend as a valentine. LAQUERLICIOUS is offering V-Day = D-Day for $6, with half going to Fresno Bully Rescue. MESSY JESSI LACQUER is hosting a site-wide 30 percent off sale, no code needed. If you know of any planned restocks coming in the future, please let me know at polishgroupie@gmail.com Thanks for stopping by! Happy New Year! Wishing you all health, happiness and prosperity in 2014! Here’s a look at some of the indie nail polish restocks scheduled for the week starting Monday, January 6. Check back every Monday to see what’s coming up. Updates will be added as I find them. LOADED LACQUER has polishes on sale, some as much as 50 percent off. 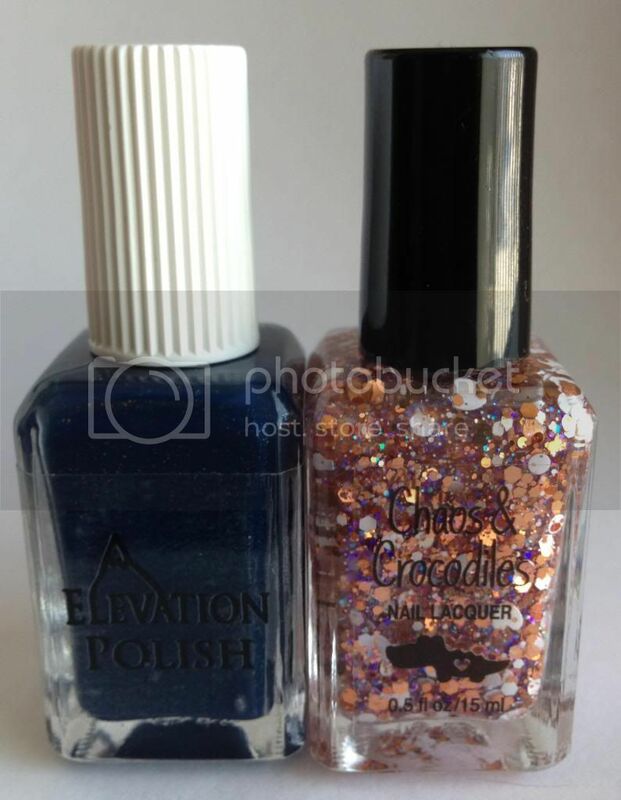 SMOKEY MOUNTAIN LACQUERS released the Naughty Collection, available until Feb 14. SILLY BEE’S CHICKADEES is now taking orders for Pie Of The Month subscriptions featuring one full-sized (pie-themed) nail polish plus nail art goodies. Subscriptions start Jan. 17. Polishes will also be available individually (without nail art extras).